Halloween is my favourite holiday. Christmas presents or sweet love notes on Valentine’s Day can’t compare with dressing up as your alter ego on Halloween. For the past few years, I’ve gone all out during the holiday, and often have a couple outfits lined up. Here are some of my favourite looks from the past couple years, and links to a few DIY Halloween Costumes for last minute inspiration! Last year, for my second costume I was Sandy from the Nightmare Before Christmas. This costume was super last minute and really easy! My dress is from Hot Topic, and you can pick up an inexpensive red wig or spray your hair for the night. Blue makeup and eyeliner as stitches is the finishing touch to this costume! One of my all-time favourite costumes was when my boyfriend and I dressed up as Will and Elizabeth Turner from Pirates of the Caribbean. A few years ago, we were Flynn Rider and Rapunzel from Tangled. Last year, I brought back my old Flamenco costume and we were Spanish Flamenco dancers. This year, let’s just say it looks like I’m the queen. If you’re still looking for a great halloween costume, but don’t want a store bought option, check out my article on the Luxe Life (soon to be published) for some stylish inspiration or check out some of the links below! Lauren Conrad creates a gorgeous mermaid costume complete with real seashells! Where’s my Prince Eric? I adore this video DIY of a gumball machine costume! 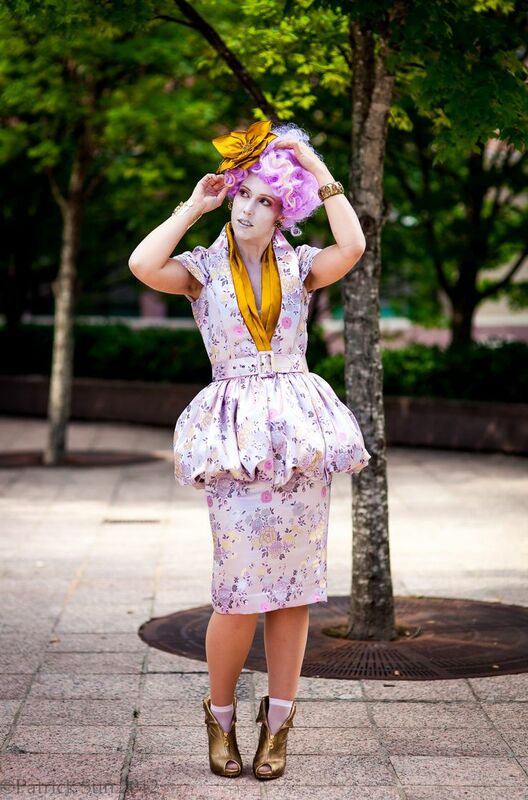 I’m all about Effie Trinket from the Hunger Games with this amazing costume. I also really love this DIY Greek Goddess costume. I really like the metallic fig leaf headband, and a great pair of gladiator sandals would finish off the look! 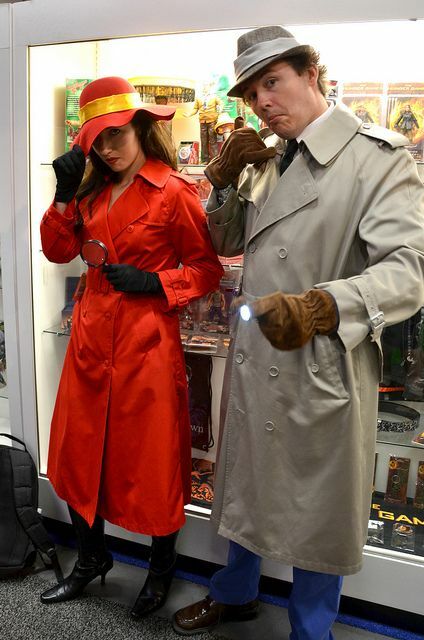 How cute are these Carmen Sandiego and Inspector Gadget costumes? All you will need are some trench coats and great hats! For more Halloween inspiration, check out my DIY Halloween Costumes board on Pinterest!